Would you like to create a great-looking 3D Ebook cover image to help promote your latest e-book? 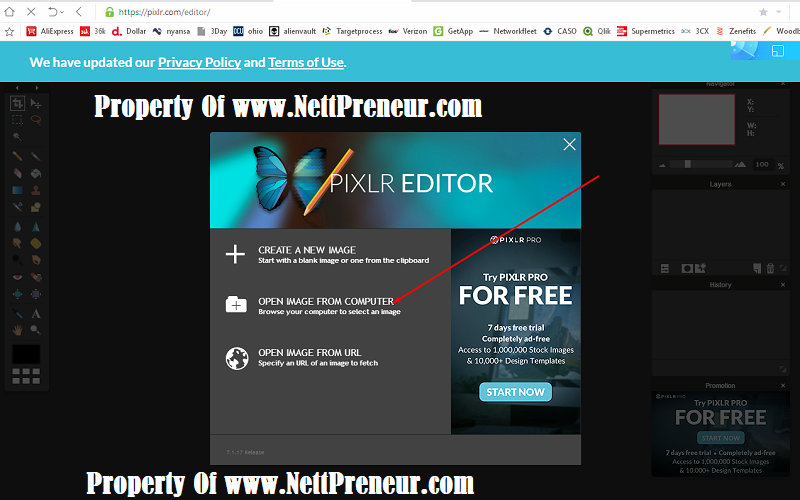 You can do this all by yourself, and Save yourself the time and resources of having to pay someone to create a 3D Ecover cover image by spending just a few minutes to read this article and and watch my YouTube video on How To Create A Free 3D Ebook Cover Image. Why you need a 3D image of your Book? Having a 3D image cover of your book has many benefits. 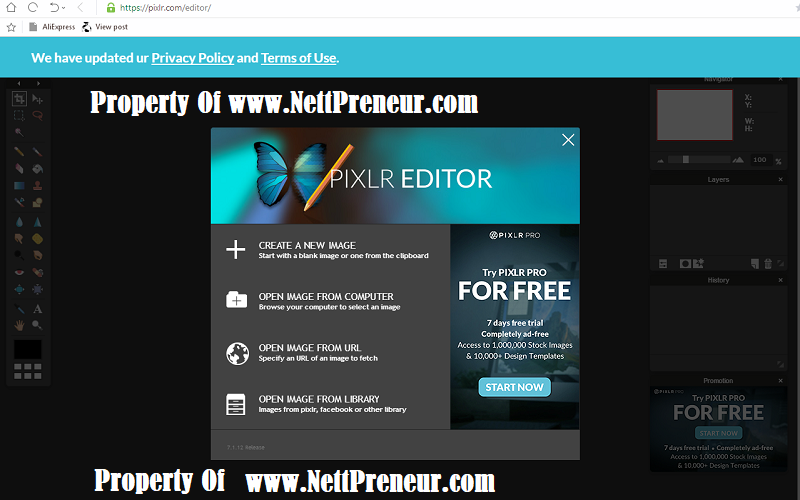 It can be used as marketing images directly on your author-website. It also helps to create nice looking book banners, as well as being used as part of posts on your social media platforms like Twitter, Facebook, Instagram & Google+. You do not need to be a Photoshop or any other graphics software expert to create a 3D Ebook Cover Image. I have carefully outlined the steps for you to follow in this tutorial to make it easy for you. 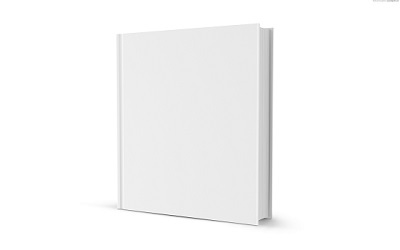 Download the free 3D book template. 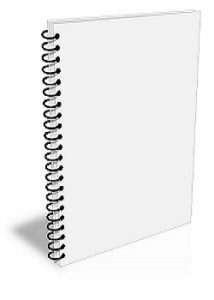 The spiral-bound book 3D template. 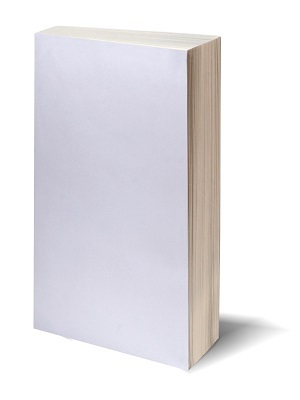 The thin book 3D template . 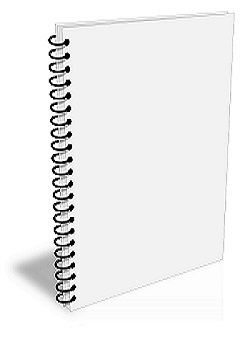 Download the free thin-book 3D template. 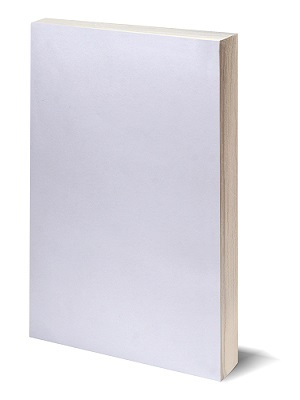 The hard-cover book 3D template . 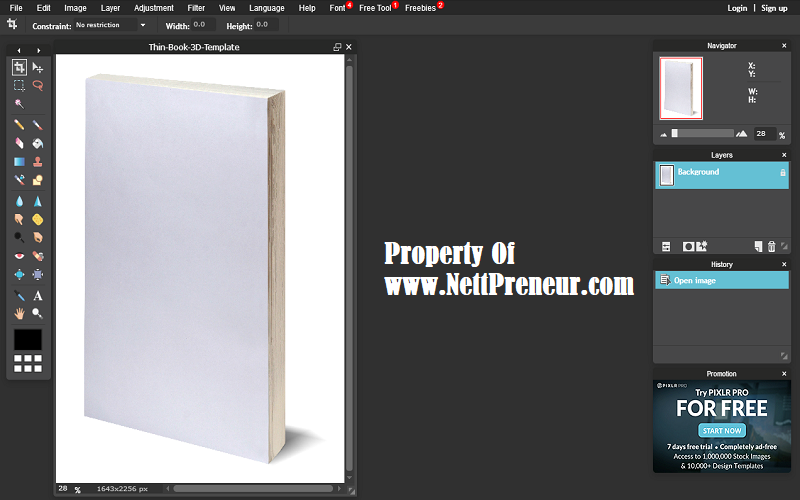 Download the free hard-cover book 3D template. I made use of a free online image editor for this tutorial to create the basic 3D image, you can find it here PIXRL. This part of the tutorial is optional, and I made use of another free online image-editing software called LunaPic to touch up and polish the 3D Ebook template image by removing the background space. 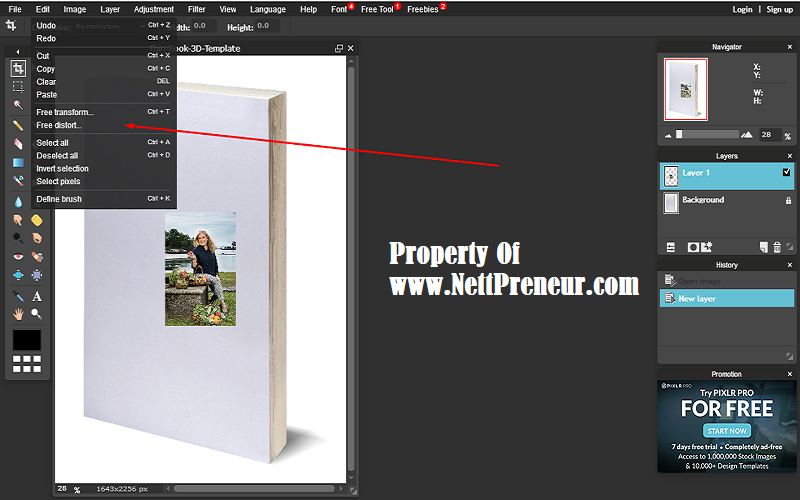 You can also choose to forgo this step and do it after creating your 3D Ebook cover image. Second: Select: Layer – Open image as layer. 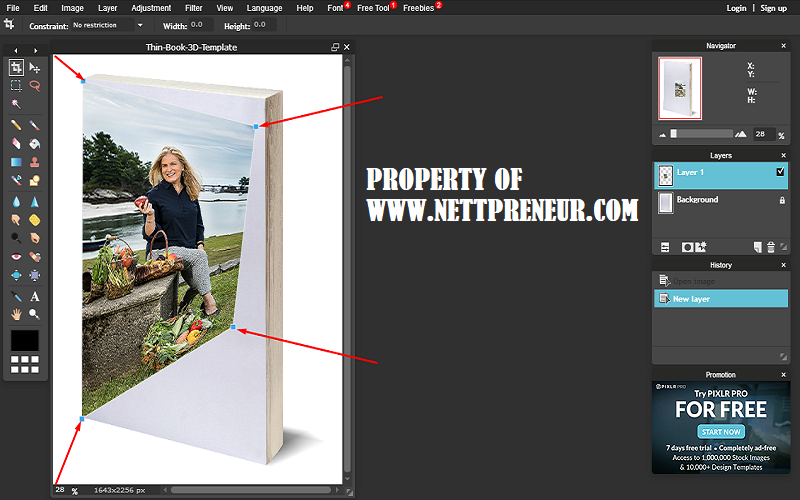 Then browse your PC and find, select and open the rectangular book cover image. 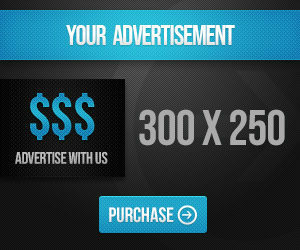 Select: Edit – Free Distort. 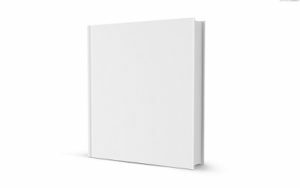 Drag the corners of the book cover image to match the four corners of the 3D book template. When prompted if you want to save the update, click yes. Hint: You might want to adjust the 3D image dimensions before saving the file, this is done through the following menu: Select the “Image” menu and then select “Image Size”. 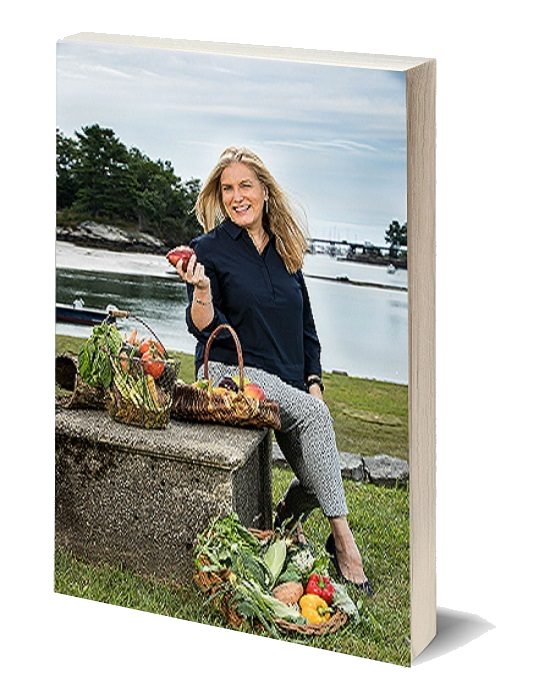 Congrats – You now have a professional-looking 3D image of your book cover! Thanks for checking out this tutorial. Please if you have found it useful, kindly let me know , as i would love to hear your feedback. I am also open to suggestions on tutorial topics and ideas. Feel free to leave a comment if you would like me to create a tutorial on any subject of your choice.